One of the most common problems that contact lens users currently face is being prone to Acanthamoeba infection. Among the many complications of contact lenses, those who become gravely ill are those who are heavily infected with Acanthamoeba—protozoa found commonly in soil but also in tap water. The use of contact lenses has become a trend and fashion nowadays among young boys and girls especially in advanced countries. However, this trend and fashion poses a big problem for young generations, especially for high school and college students who want to go ahead of fashion by changing the color of their eyes, mimicking their favourite movie actresses or actors. But this trend is creating serious problems including blindness! Young fashion-crazed guys use contact lenses without any knowledge that they can get serious infections that damage their eyes. What is important with contact lens is its cleaning or sanitary procedure. That's the only thing you need to do. With the advent of cosmetic contact lenses, which is designed to change the appearance of the eye, the use of it has become popular among people of fashion. However, cases of blindness due to incorrect use of contact lens are rapidly increasing. Acanthamoeba keratitis and corneal ulcer are the two major causes of blindness among contact lens users. If the symptoms progress, it becomes painful or sometimes worse, and you'll be at a higher risk of vision loss. Wash your hands very well for at least 3 minutes. Wash up to the tip of your fingers with a good anti-bacterial soap. 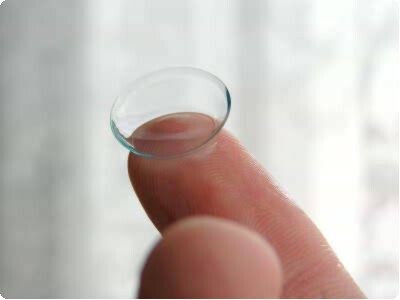 Clean your contact lenses by rubbing it gently with your fingers for at least 30 times. You can use medicated soft soap, too. Rubbing at least 30 times is the most important to eradicate fungus and its related Acanthamoeba on your contact lenses. Then, you will be safe from Acanthamoeba infection. Whatever it is, we recommend you to consult your ophthalmologist from time to time to prevent eyesight problems. Myth #1: Contact lenses can get lost behind your eye. Fact: This is 100% wrong. 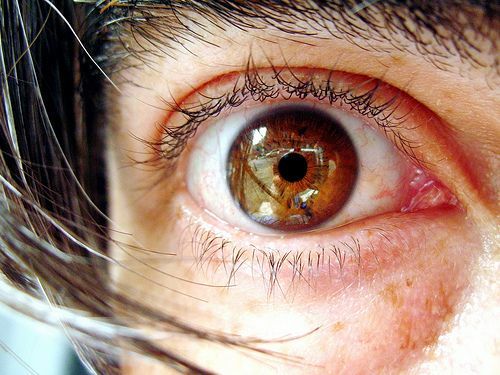 Your contact lenses cannot go beyond the surface of the eye. Your eyes are made to resist any intrusion. It's just physically impossible. Myth #2: Contact lenses can get stuck or fused to your eye when exposed to heat sources. Fact: This myth originated from a welding urban legend circulating around the world since the 1960's. The story is about a welder that had gone blind because of the heat of the welding arc that melted his contact lenses to his corneas. Today, lots of mutated versions of this urban legend appeared on e-mail chain letters circulating on the internet. These are just made-up stories! Do not believe them. If this was true, then they would have been removed from the market years ago. As mentioned in this article, the potential risks associated with your use of contact lenses are mostly Acanthamoeba keratitis infections and corneal ulcers, and have nothing to do with heat exposure. The first person to suggest contact lenses was Leonardo da Vinci in 1508. In 1888, Adolf Fick, a German ophthalmologist, was seemingly the first to successfully fit contact lenses, which were made from blown glass. Ronald Reagan was the first President to wear contact lenses.